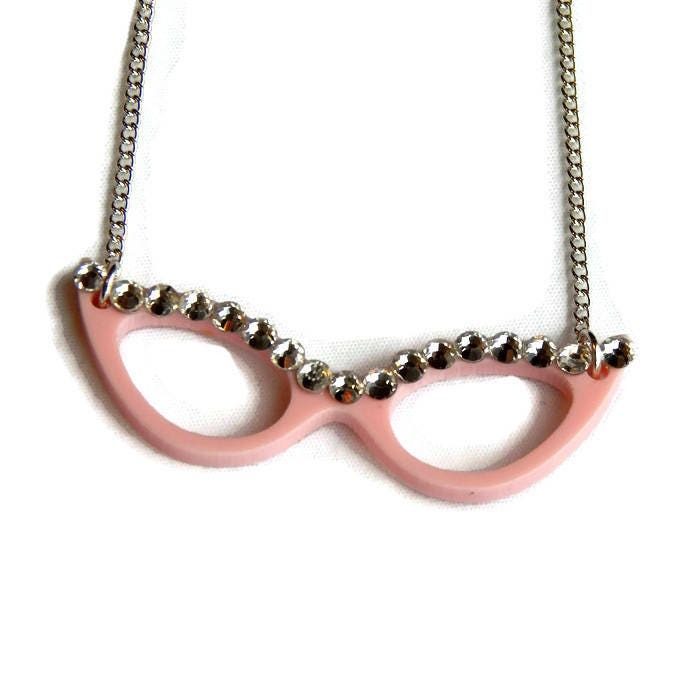 Retro and fun this pink cat eye glasses necklace is the perfect addition to the vintage vixens wardrobe. 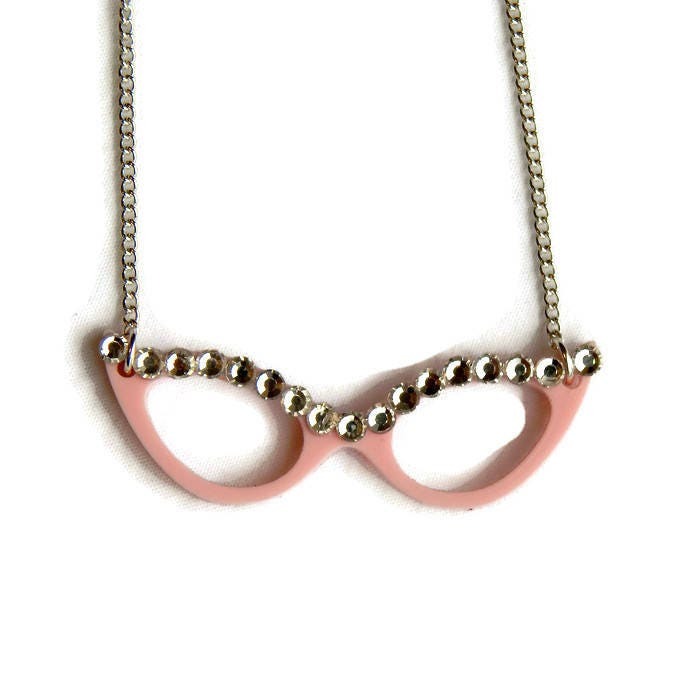 The pink acrylic glasses charm measures 50mm (approx 1.96 inches) and is accented on the top rim by tiny rhinestones. 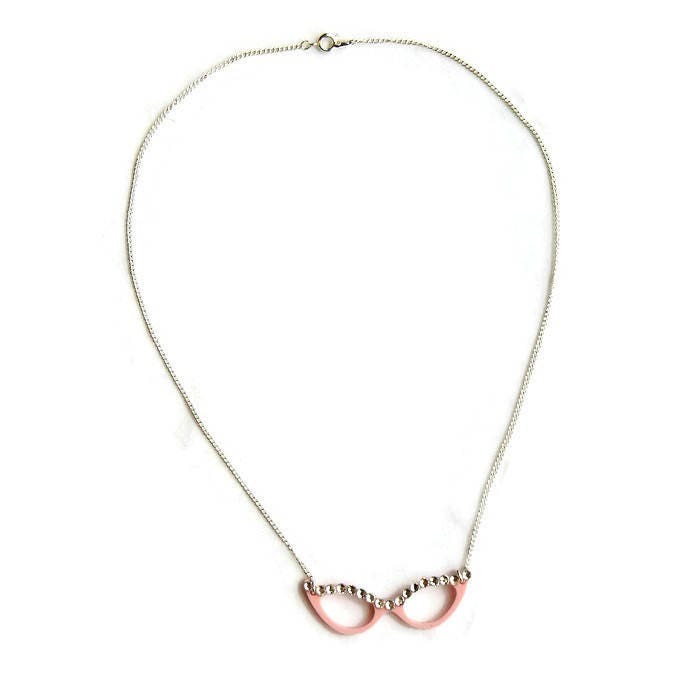 Pendant is hung from an 18" silver plated chain.